“Why does cybersecurity extend beyond computers? This article provides easy to understand tips for the holiday season, travel, and just going to and from! We are all in this together and must act diligently to protect ourselves and our families. The law only takes action after the fact, this is positive action we can and must take “before” the fact – in other words, PREVENTION! Stay safe. As the winter holiday travel season begins, US-CERT and Stop.Think.Connect(link is external) would like to remind users to be mindful of the security risks associated with portable devices such as smart phones, tablets, and laptops. These devices offer a range of conveniences such as allowing us to order gifts on-the-go, providing us with directions, and even letting us download our boarding pass to pass through security with just our mobile device. However, with all of these added conveniences often come potential threats and vulnerabilities. US-CERT would like to encourage users to review the following Cybersecurity Tips. Following the security practices suggested in each tip will help to keep your portable devices secure during the holiday season and throughout the year. 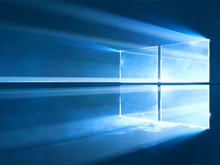 “One of the services at the heart of Windows 10’s user information gathering (otherwise known as spying) that many thought was removed in the latest update to the operating system is, in fact, still there, doing what it always did.